My husband was with me today, so took a photo of me with the pack. 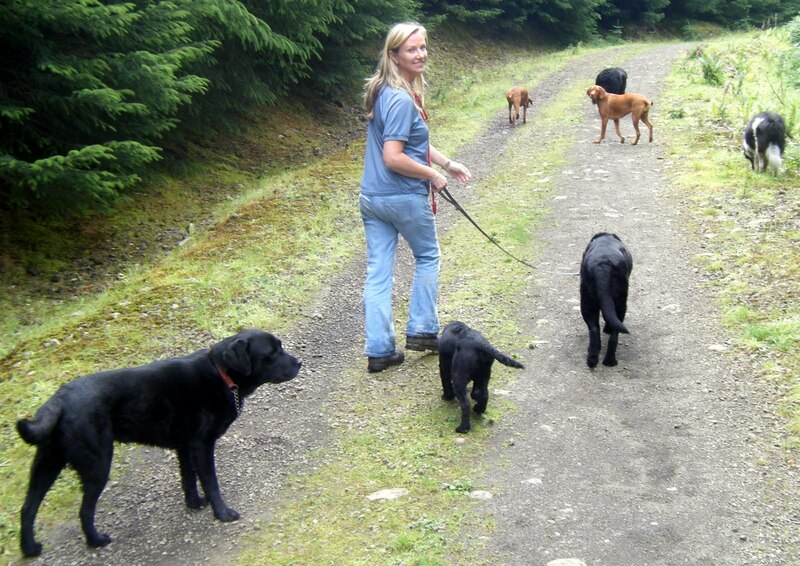 With me today were Meg, Mac, Laddie (on lead), Holly, Ivy, Skye and Monty. Laddie is on the lead going through the forest as this is the danger spot for him. He can have a tendency to wander (if you watch any youtube videos of mine, you can hear his cow bell in the background). Out on the moor is fine, I can see him from far away, but going through the forest is a different matter….and I have no desire to ever lose him.